The Titan 10-20 was made by the International Harvester Company between 1915 and 1922. The International Harvester Company started way back in 1902 with the merging of a group of harvest machinery manufacturers, the main ones of which were McCormick and Deering. The Mogul series of tractors were manufactured by the former McCormick part of the company and were made in their factory in Illinois, Chicago USA and were sold by McCormick dealers. Titans were made in the former Deering factory at Milwaukee, Wisconsin, USA. and were sold by the former Deering dealers. Several models were made before the Mogul 8-16, the Mogul 10-20 and the Titan 10-20 were introduced. The former models tended to be large tractors suitable for ploughing the Prairies. The latter 3 were much smaller models and were more suitable for smaller farms. The Mogul 8-16 had a single cylinder hopper cooled engine and was introduced in 1914. 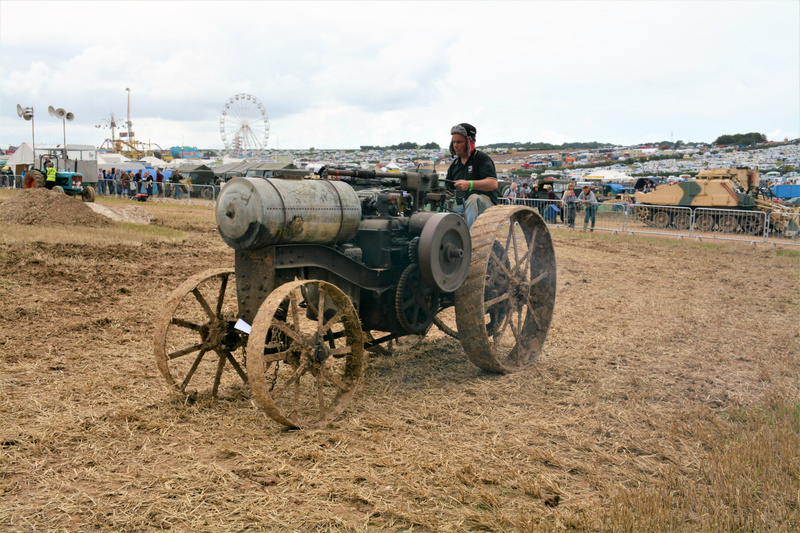 The twin cylinder Titan 10-20 with 2 forward gears and 1 reverse was introduced in 1915 and the single cylinder Mogul 10-20 was introduced in 1916. The Titan was far and away the most successful. Between 1915 and 1922 over 78000 Titan 10-20’s were produced. These numbers made it one of the most successful farm tractors of that time. 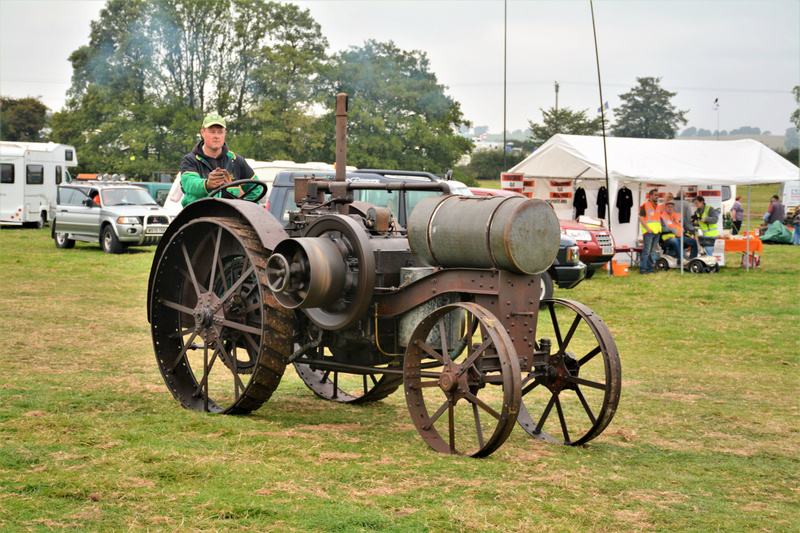 Its popularity was due to it being reliable, simple and being more suited to the smaller farmer than its bigger forebears. Titan 10-20’s were first introduced in 1915 but in that year only 7 units were built. Full production didn’t get going until 1916. 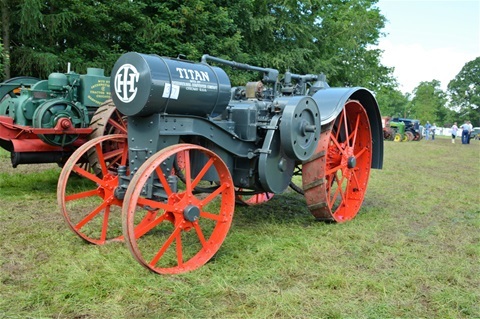 Before its introduction 2 larger Titan models were available in America but the 10-20 or ‘LITTLE TITAN’ soon became really popular and the most famous of the tractors to have the name Titan. It met the need for a smaller, lighter more manoeuvrable tractor and very quickly became the best-selling tractor in the 10-20 range. The Titan 10-20 was powered by a petrol /paraffin fuelled, twin cylinder, horizontal engine that achieved 20hp at only 575r/min. 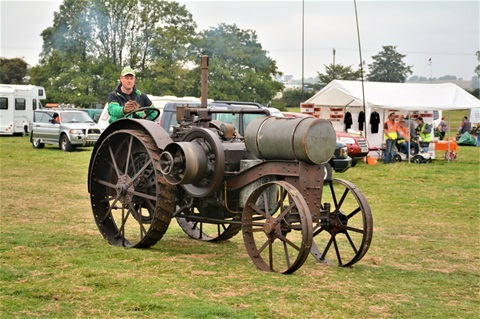 The engine developed 10hp on the drawbar and 20hp on the belt pulley. The engine was cooled by water contained in a cylindrical 40 gallon tank positioned over the front wheels. It was assembled on a steel girder frame and was chain driven. It had 2 forward gears and one reverse. First gear got up to 2mph and second gear up to 2.75mph whereas reverse produced 2mph. 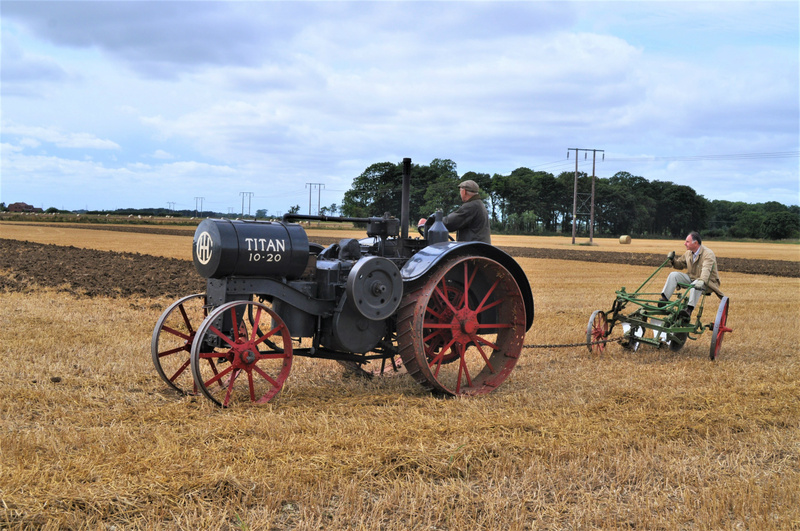 Titans were imported to the UK during WW1 to help plough grassland up to increase the arable acreage. This was necessary because there had been a huge drain of men and horses leaving the land for the War. By 1916 Britain had reached crisis point regarding food production because imports of food had been severely disrupted by German U-boat interventions so drastic steps were needed to produce more food in Britain. Several tractor models were imported from the USA and the biggest imports came in the form of the Titan 10-20. 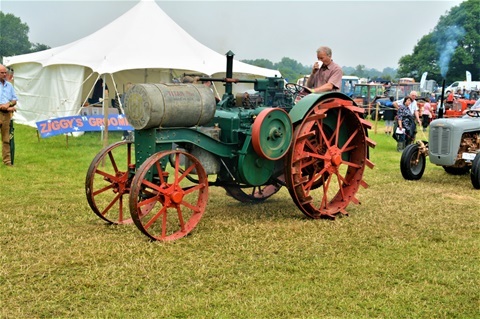 This first arrived in 1917 and sold in large numbers through the Ministry of Munitions (MOM’s) The Fordson model F came in just a bit later than the Titan and then took over the most popular model spot. 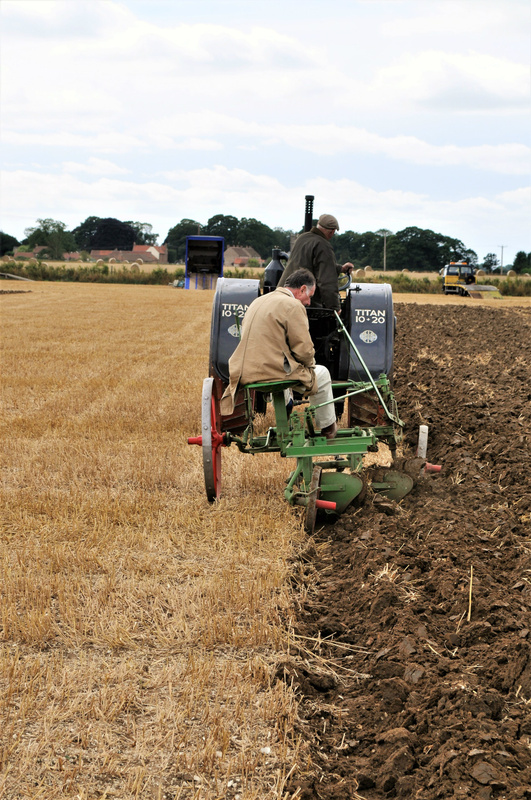 Until the introduction of the Fordson model F, the Titan 10-20 was the mainstay of the UK tractor workforce. 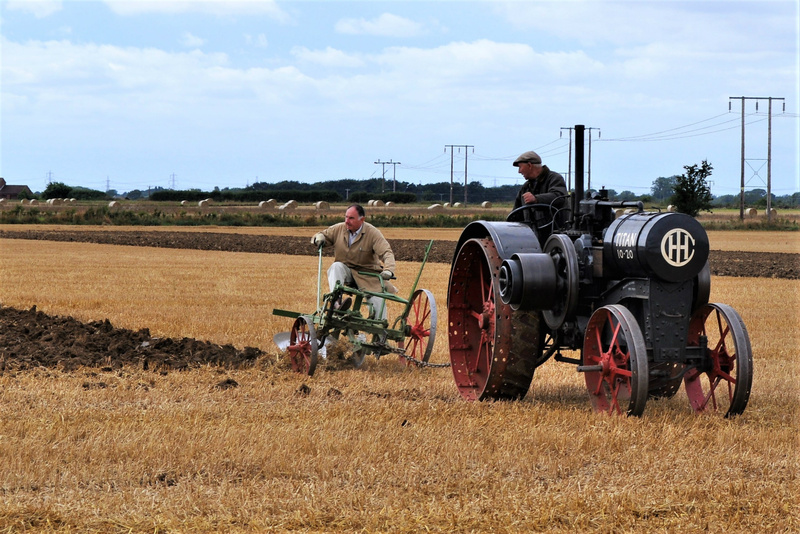 The US Titan and Mogul were well respected makes and were very well liked by UK farmers during the war years and shortly afterwards. The End of the Titan 10-20. 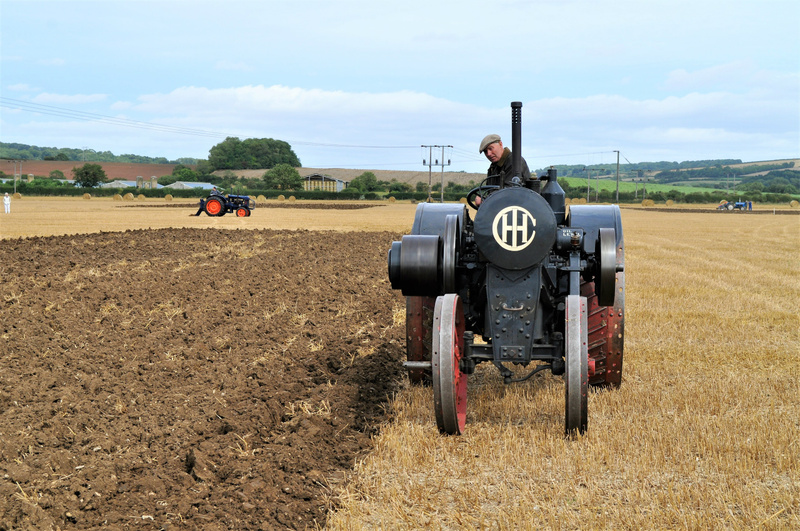 The Fordson model F with its revolutionary new design was a serious competitor for the Titan 10-20. The post war prosperous period for farmers eventually came to an end and farm incomes went down. 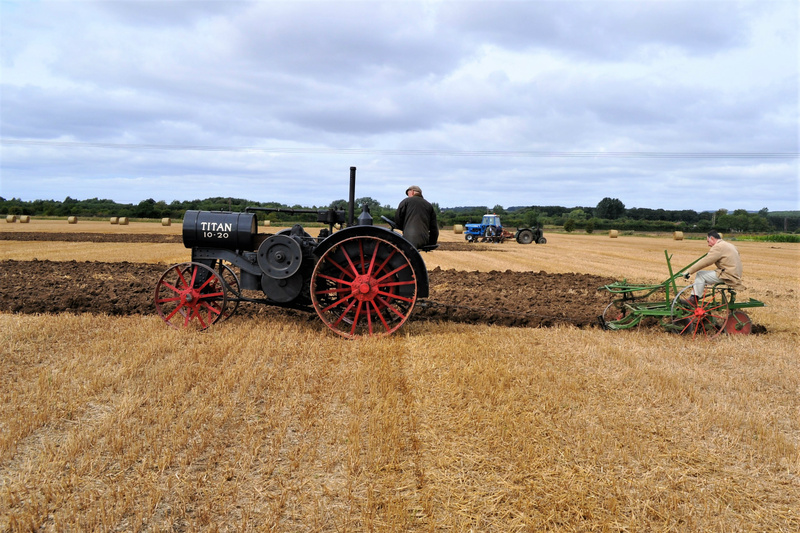 Several tractor companies went bust during this period. 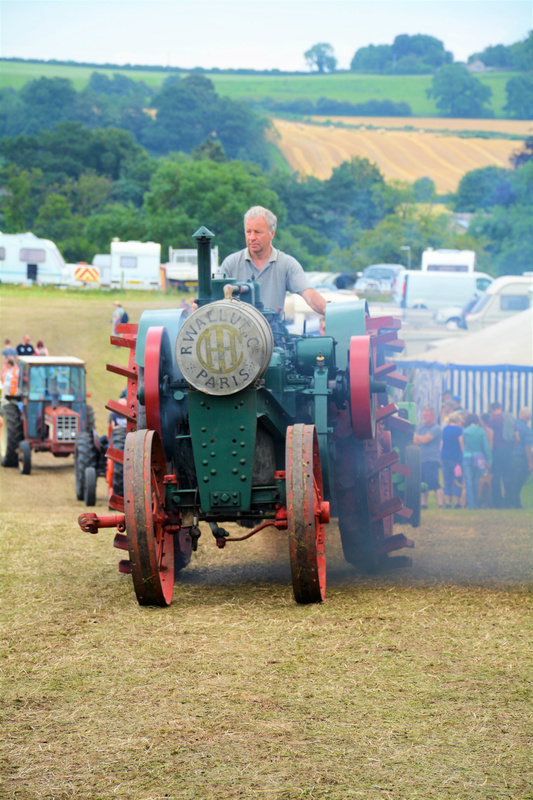 Fordson cut the price of the model F in an attempt to boost sales and retain market share. IH also cut their prices and resorted to giving away a free plough with each new Titan 10-20 bought to try to keep up sales. This proved a popular incentive to farmers and kept them in the market, allowing them to sell all the remaining stocks of the, by now, out-dated Titan 10-20. It also allowed them time to develop and introduce new models-namely the IH 15-30 in 1921 and the new IH 10-20 in 1923 which were able to compete much better with Fordson. Titan production ended in the early 1920’s at the IH factory in Milwaukee having sold an impressive 78,363 units in total. Titans direct successor was the International Harvester 10-20.